A recent Eleison Comments touches on the gradual changes witnessed on a micro level at SSPX chapels. This is something that we are hearing more and more about. Yet it should not be surprising. Many of the radical thinkers left along with the Resistance and some, though not all, were happy to see them leave. Obviously this left a vacuum to be filled by ‘Indult minded’ laity and this is where we are now - many SSPX chapels being indistinguishable from an Indult Parish. Fr Angelico of the Dominicans of Avrille was kind enough to distribute the following meditations. We have formatted them, converted it into a downloadable pdf for easy printing and added the Litany of Humility ourselves. Please make use of them this Lent. I had not planned to post over Lent, but the wonderful news is that Fr Gerardo Zendejas will become the third Bishop Consecrated by H.E Bishop Richard Williamson on May 11th. 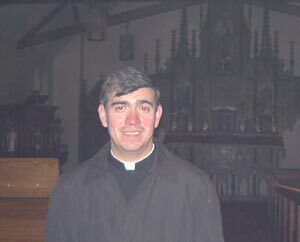 To learn more about the thinking of Fr Zendejas please download the zip file below for a compilation of his sermons.